Joanne Turney is an active octogenarian and accomplished abstract painter, author, and classical pianist. I’ve had the good fortune of knowing her for almost 20 years. She has served as an important positive role model for me and many other individuals who are blessed to know her. Turney’s dramatic award-winning art has been influenced by her extensive world travels, having lived in the colorful Costa Del Sol, in Spain. She currently lives in Washington, D.C. and maintains a pied-à-terre in New York, NY. Her successful art career includes many international exhibitions, including a one-person exhibition at La Casa de Cultura, Estepona, Spain, and several gallery exhibitions in New York, NY. 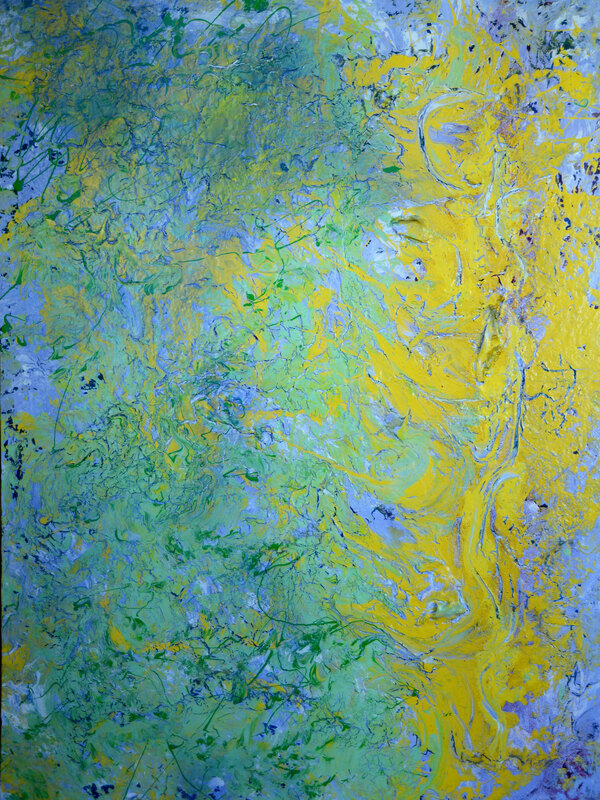 Her art work is in many private collections worldwide such as International Resources Corporation, in Washington, D.C.; Mallorcan Properties International, Palma de Mallorca, Spain; and Hyatt Hotel, Arlington, VA.
“Il Vechio Castello”, acrylic on canvas, 48″ x 36″, from Joanne Turney’s “Pictures at an Exhibition” series. The artist’s unbridled color palette ranges from passionate vermillion red to cool cerulean blue. 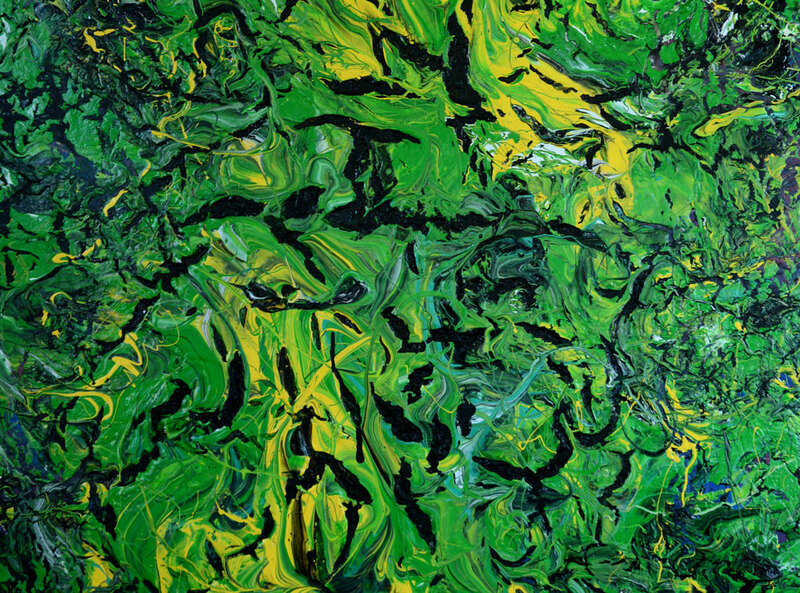 Throughout her canvases we witness tactile crackled surfaces as they erupt and coalesce with fluid pools in a continuous symphony of harmony and contrast. Turney’s background as a classical pianist and teacher is a key influence in her art work. In fact, a recent series of paintings were inspired by “Pictures at an Exhibition”, composed by Mussorgsky. These paintings exude her mastery of color, composition and rhythm. They exemplify her spontaneous painting process that combines her technical prowess with innate trust that allows the creative process to flow without interference. 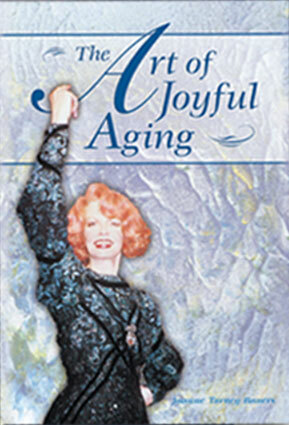 “The Art of Joyful Aging”, a book by Joanne Turney. This exuberant red-haired woman shows no sign of slowing down. In a recent conversation she discussed her plans to create another new series of paintings in addition to volunteering in a major art museum. In addition to her charity work she has served as a volunteer for the White House during two different administrations. Determined to replace the negative stereotypes that society attaches to aging she created a book titled “The Art of Joyful Aging”. This book contains more than ninety color life-affirming “Teeny Turney” paintings that celebrate the positive benefits of aging. Turney has presented many inspirational talks and has raised money for different charities through sales of her book and her art work. Her book “The Art of Joyful Aging” should be within hand’s reach on every one’s book shelf and coffee table as a constant reminder of the how to excel in the art of living. “Home Free”, by Joanne Turney. This life-changing event gave birth to her extraordinary series titled “The Art of Healing” — thirteen paintings that depict the emotional stages of her battle against and eventual recovery from breast cancer. This important series expresses the universal feelings associated with loss, suffering, fear, faith, hope and healing. 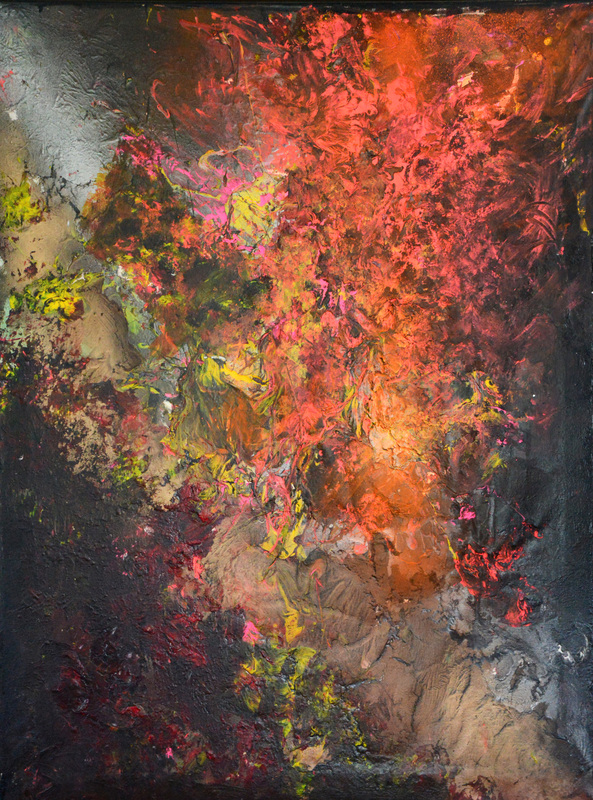 During the painting process Turney experienced a healing transformation. 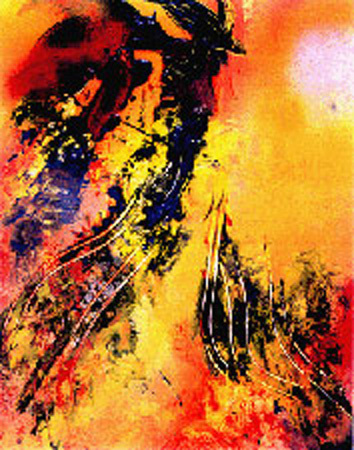 She is pleased that the paintings also serve as inspiration and hope for viewers. She plans to donate these paintings to a healing facility. Detail of “The Ballet of the Unhatched Chickens” by Joanne Turney, from her “Pictures at an Exhibition” series. Joanne Turney is the only woman I know who was married to the same man for 63 years. Sadly, he died a few months ago. In her inimitable spirit she is facing this difficult time with tremendous courage and credits her faith for providing the comfort she needs. To learn more about Joanne Turney’s book visit www.edgewoodpubco.com. To read the Luxe Beat Magazine version of this article click on the title Octogenarian Artist Joanne Turney Excels In The Art Of Living.